Bright and cheery colours are all the rage this season. 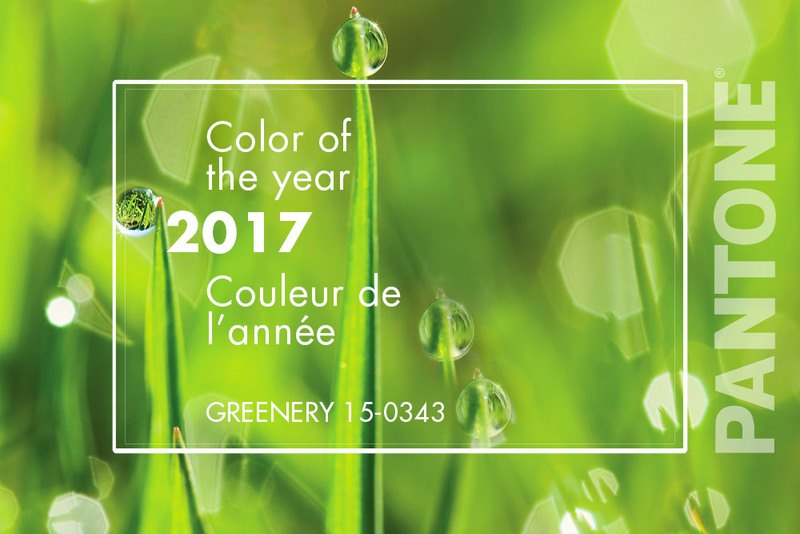 Greenery – a fresh and peppy yellow-green – was selected as the winner of the 2017 Pantone colour of the year. Expect to see a lot of this colour throughout homes in 2017 as well as other rich and attention grabbing colours such as lime greens, emeralds, and bright blues. 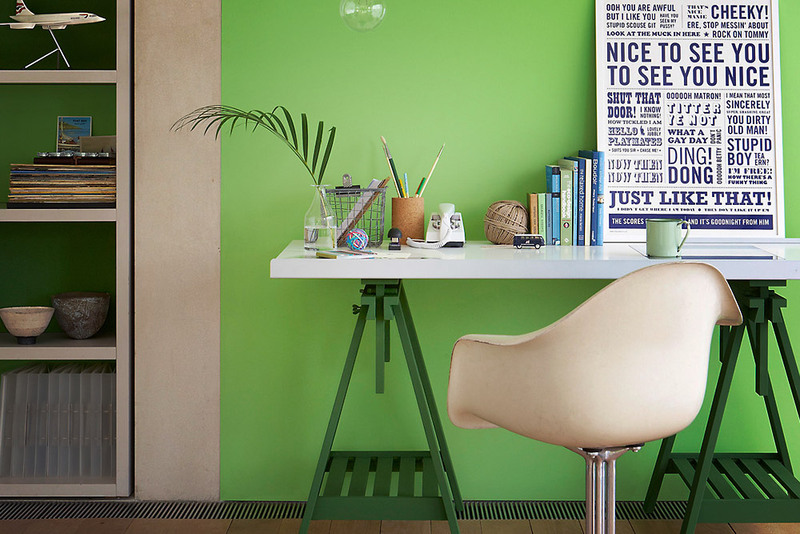 Try painting one of these bold colours on your walls to add a pop and contrast to your condo. If you don’t like the idea of using such intense colours, consider adding depth to your décor with fun, colourful accents in your living room or dining room. Other hot colours this year include Kale, French-blue, and Fiery Orange. A trend towards comfortable, warm, and inviting furniture will be very prominent this season as we all strive to find a little respite from our digitally driven, technological-based world. Try furnishing your condo with deep sofas, oversized love seats, and luxurious throws as well as rugs and cushions made with plush, soft materials such as faux fur and mohair. Mismatched patterns and textures will continue to be popular this spring. Incorporating interesting materials, tiles, and patterns in your home décor will give your condo a more enticing, unconventional, and eye-catching look. Experiment with interrupted floor patterns, tactual wallpaper and mixed fabrics this year. Area rugs and moody wall murals will also be very prominent this season. Varying in size, style, colour, and texture, these attention-grabbing pieces can take center stage as art, making a huge impact on the overall design of a room. Adding one of these elements to your condo décor will make for an excellent conversation starter. The classics will be revisited this season with much emphasis on traditional designs that have been given a modern twist. Slipper Chairs, for example, will remain popular, however they will be sporting higher backs and stubbier legs than ever before. Modern, mirrored coffee tables will be another fashionable household item as they work well in both modern condos and traditional homes. We will also see more well-made, uniquely crafted furniture pieces in homes. Give your condo a one-of-a-kind look with a few pieces that have taken a high level of craftsmanship such as blown glass sculptures and porcelains. Marble is back in style, and it will be one of the year's biggest design trends. 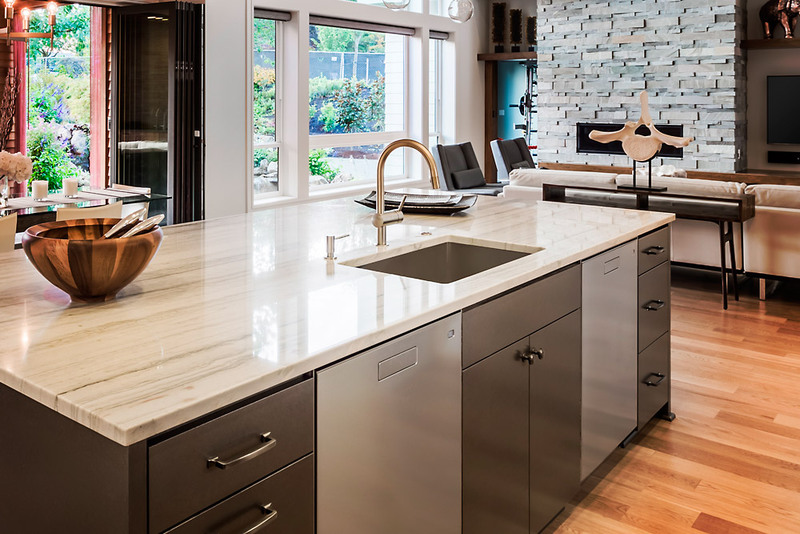 This earthy material will be showcased throughout condos, as we'll see the resurgence of marble countertops, marble flooring, marble tabletops as well as marble serving platters and vases. Terracotta tiles with a matte finish will also be hot this season. Cool and white tones are out and instead, they are being replaced by earthy terracotta tiles. Try adding a little warmth and character to your condo with a splash of terracotta.